Avengers: Endgame will come out next month which will see the Heroes trying to reverse the effects of Thanos’ snap that took place at the end of Avengers: Infinity War. While Marvel hasn’t let out anything as to how they do it, the internet has exploded with numerous theories. Will Tony Stark Build Another Gauntlet in Avengers: Endgame? 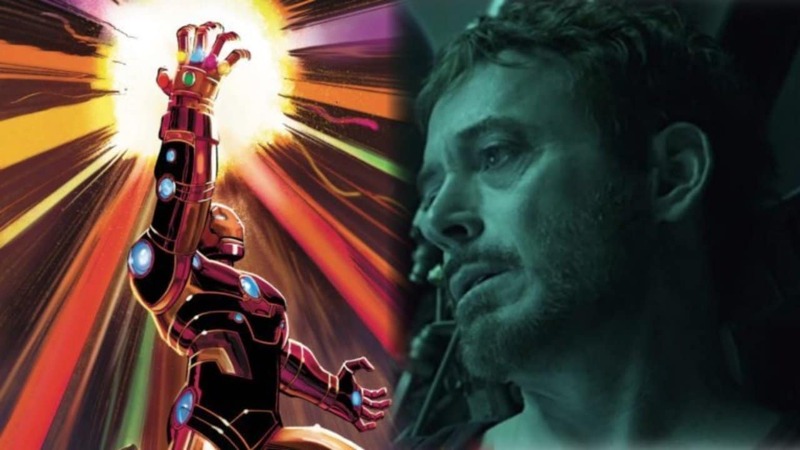 Avengers: Endgame: Will Tony Stark build another Gauntlet? For instance, one theory that comes up, again and again, is Tony Stark building another Infinity Gauntlet that he will use to reverse the effects of Thanos’ snap after he gets hands on all Infinity Stones. This theory has turned up on many forums until now, and although there is little evidence to support this, fans on Reddit are arguing if there’s a clue or not in the new LEGO set. As you may notice, the Avengers HQ set features a monitor which has a diagram of the Infinity Gauntlet and the Infinity Stones. Well, some theorists were quick to jump on this as a sign that the team does plan to build the Gauntlet, although provided how central the stones and Gauntlet are to the whole saga, there might be other reasons why Avengers may want to analyse the objects. Most importantly, these LEGO sets aren’t always accurate if compared to the films, and it’s quite possible that this diagram was never inspired by Avengers: Endgame’s plot. Only time will tell if Avengers will build a Gauntlet, although we don’t have much time till the final answers arrive. Also Read: 21 Dank Robert Downey Jr. Memes That Will Make You Burst Into Laughter! Meanwhile, you may expect more mercy material to come up in the coming weeks, which fans will unarguably examine for its worth. We will find out if the Internet had been drawing out the right conclusions about Endgame, when the film hits the theatres on April 26.